Asset Location: What Goes Where? Are Self-Directed IRA Clients More Experienced? Many Self-Directed IRA clients are more experienced and often navigate this question better than most. For years, investment advisors have harped on helping investors figure out their optimal asset allocation. That is, what is the theoretical optimal mix of stocks, bonds and cash – and maybe a smattering of other asset classes – that provides for the best expected return for the minimum expected risk? And still, their clients got clobbered! The problem is that backward looking analysis tools like Ibbotson asset allocation software and Monte Carlo simulation tools lent a sort of false illusion of precision to their projections. The fact remains that the markets don’t behave like bullets. They are more like knuckleballs. If you’ve ever tried to hit a good knuckleball pitcher you know what I’m talking about: There’s no telling what the ball is going to do, because even the pitcher and the catcher don’t know what the ball is going to do! Most of Self-Directed IRA clients investing in the form of, say, a Real Estate IRA, a Precious Metals IRA, or who own privately held companies, partnerships and joint ventures understand how to make money in these fields much better than the average financial advisor understands and can predict the markets. The markets are too big for any one person to really understand – but anyone can understand a small portfolio of real estate investments – even more so if it is fully under your control! That’s why we advocate self-directed retirement investing for many people – especially those with a track record of success in business and investing on their own. But the problem of what assets to hold within a tax-deferred account, a tax-free account (like a Roth IRA), or a fully taxable account (outside of an IRA) is a common one. High-capital gain, low-income assets are often best held outside of retirement accounts. There’s not much current income to worry about paying taxes on, so the idea is to capture the advantage of long-term capital gains rates on these assets, rather than paying ordinary income on them, which you would have to do if you distributed them from an IRA. Low-capital gain, high-income investments are ideal for retirement accounts, including Self-Directed IRA clients. Often these investments include rental real estate, because despite some wild swings in real estate prices in recent years, the long-term price appreciation rate for residential real estate is quite modest, compared to stocks. By holding them in a retirement account – whether it’s a Roth or traditional tax-deferred IRA or 401(k) doesn’t matter for this scenario. That’s a separate calculation. But because capital gains are modest, giving up the long-term capital gains treatment on these assets is less of a sacrifice. In both cases, the higher your marginal income tax bracket, the stronger the recommendation, from a pure tax standpoint. Low-capital gain, low-return assets are usually best sold. But you may hold them as a hedge against market catastrophes. Precious metals may fall into this category, since obviously a hunk of metal doesn’t pay a dividend. These can be held either in or out of retirement accounts to good effect. But holding them within a retirement account qualifies them for substantial asset protection benefits. If you held them personally, they would be fair game for creditors. High capital gain, high-return assets. If you have lots of these, you have few worries. At least financially. However, we would still steer these rare gems to the retirement account, because if you’re doing that well, you become a target for lawsuits and you’ll want the asset protection Self-Directed IRA clients get with their IRA or 401(k) account. And, of course, congratulations are in order. Now, in some cases, an asset that is normally a capital gain generator could become an income generator, instead. For example, people who buy and sell houses a lot could fall under IRS dealer rules, under which profits are treated as ordinary income rather than capital gains. So you can’t just assume because it’s a capital asset you would treat it the same way as everyone else does. Personal asset protection planning varies from individual to individual as well. To learn more, visit us online at www.americanira.com, or call us at 866-7500-IRA (472). We are experts in Self-Directed IRA planning, and we look forward to working with you! When most people think of Self-Directed IRA options, they often think of aggressive, volatile investments: venture capital, closely-held companies, and the like. But there is nothing about self-directed investing that requires you to cling to the outer frontiers of the risk curve. The whole point of self-direction is to increase your control of your own investments so that you can more closely manage your exposure to risk. We want you to have great returns, of course – but on a risk-adjusted basis. And that means that, from time to time, it’s prudent to trim the sails, batten down the hatches, and prepare for rough seas. When it’s time to dial back on the risk exposure, what are your Self-Directed IRA options? Cash. There’s nothing wrong with holding cash and cash equivalents for a time, while you look about for a profitable and acceptably safe investment opportunity. As long as you keep the money within your retirement account, you don’t have to worry about capital gains taxes. This means that you can move in and out of an asset in a Self-Directed IRA, 401(k), SEP, SIMPLE, Coverdell or even a health savings account without regard to tax consequences. Don’t be afraid to go to cash or money markets when the situation warrants. Fixed Annuities. A fixed annuity may work well for those who want to hold a safe position for a longer period of time. These products are insurance products, not investment products. As such, you can buy them with specific guarantees. 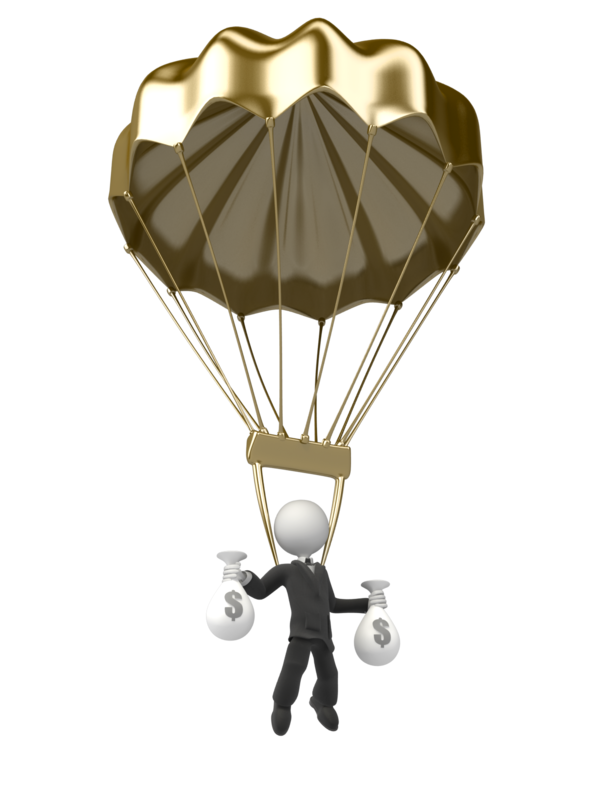 The insurance company takes on the investment risk – they just guarantee you a specific percentage return. Of course, these guarantees aren’t free – the annuity company must charge a bit to compensate itself for taking on the risk of having to fulfill these guarantees even during poor investment clients. Are the guarantees worth the extra fees? That’s up to you to decide. For some they are. For others, not so much. Real Estate. True, real estate is not a risk-free investment option. It never has been and never will be – especially once you add leverage to the mix. But real estate has one advantage to it that no paper security and no paper contract can match: It’s tangible. That means that no matter what happens, you can pretty much be assured that regardless of the investment advice, the value of the land and structures on it (which you can usually) isn’t going to go to zero. Gold. Like real estate, gold and other precious metals aren’t risk-free investments. However, gold has proven to be an effective safe harbor during times of uncertainty for thousands of years – and it really shines during economic crises. However, don’t believe anyone who tells you that gold never goes down in price. It absolutely does bump around against the dollar – and has been known to have long down periods. Over time, however, gold has gained against the dollar roughly in tandem with inflation experience. Furthermore, taken together, real estate and gold can combine to make an effective hedge against inflation, over the long term, simply because of the essential tangibility of both items. Do you want to learn more about safety and Self-Directed IRA options? Call us today at 866-7500-IRA (472), or visit us at www.americanira.com. Every once in a while, it helps to get back to basics with retirement investments. After all, Self-Directed IRA investing is like any sport: If you master the fundamentals of the game, you will find yourself much better able to adapt to any situation. Pay yourself first. This means that at least 10 percent of your income, right off the top, should go to advancing your own long-term financial security. Not to short-term needs, and not to enriching someone else’s. Of course, carelessness with debt, or buying too much house, or any number of other common mistakes can make paying yourself first extremely difficult, as debt service overwhelms your income and gradually restricts your options. Paying yourself first, however, can go a long way to preventing this from happening. Increase that 10 percent. That 10 percent is a bare minimum. That’s for people at the very beginning of their careers, still eating Top Ramen for dinner. As you get older and more established, your disposable income should go up. So should your minimum acceptable savings rate. Cash Counts. Yes, cash counts in the bank, but inflation can tear the guts out of bank savings accounts over time. Cash counts in equity investing, too: Recent research by Lowell Miller of Miller/Howard investments, has found that stocks that pay regular dividends consistently outperform stocks that don’t pay dividends – and that the higher the dividend, the greater the risk-adjusted outperformance. Miller’s analysis was of publicly-traded stocks in the S&P 500 – but the same logic applies to just about any investment – the ability to come up with a cash dividend on a regular basis is a useful acid test for retirement investments. Even if you choose to reinvest those funds, it’s good to have enough internal cash flow within a given investment so that you have a choice. That’s not to say there aren’t excellent early-stage retirement investments in the venture capital and private equity world and the closely-held business world that don’t pay a regular dividend or even generate a lot of cash internally. Many of these will have a sale or acquisition strategy rather than a strategy of eventually paying dividends to the current owners. That is, they are hoping their technology or service will be purchased outright by a bigger fish. But understand where these companies lie on the risk axis! Multiply by 25. This rule of thumb refers to the amount of money you should have in a retirement nest egg by the time you hang up your spurs. Estimate your desired retirement income. Then multiply it by 25. This is the approximate level of savings planners recommend their investors have to generate income when they retire. This is a very broad rule – someone with a lot of in Roth real estate IRAs may be able to get away with quite a bit less, with a healthy portfolio of real estate generating tax-free rental income. You may be able to generate better cash on cash returns by concentrating on non-publicly traded, unconventional assets through the use of self-directed IRAs. Indeed, that’s the point, isn’t it? Diversify. Now, diversification doesn’t mean you necessarily have to own thousands of different positions – though that’s one way to do it. But the downside to that approach is that the lousy investments dilute the effect of the good ones. Another way to approach diversification is to try to own a few excellent positions in several different asset classes and industries. The idea is that you will still get the strong cash flow properties of the best appropriate investments in each asset class you can find, even though any one of these holdings may be a bumpy ride. Their volatility should largely be mitigated by other bumpy rides in other asset classes, which aren’t closely correlated with one another. 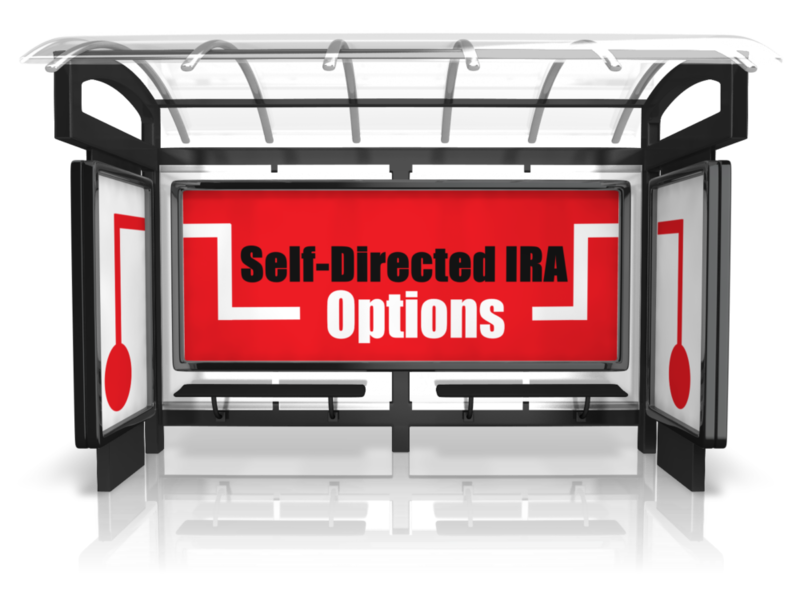 The word is out about Self-Directed IRA investment options. It’s about time for some good news! A recent study of employed adults nationwide, has reported that retirement savings balances are way up. The 15th Annual Retirement Survey from the Transamerica Center for Retirement Studies took a look at the median balances of retirement accounts across three major generational cohorts: Baby boomers, Generation Xers and Millennials, and found that each group was significantly better off than they were in 2007. The study’s authors credited two things for the improvement in retirement savings balances: A broad recovery in stocks after the 2009 low point and the increased appreciation for the importance of savings. The millennials seem to be the generation that has taken the importance of a robust savings effort to heart – the study’s authors describe them as a “generation of super savers. The news wasn’t all rosy, though. The survey also found that while the median household savings of baby boomers nearly doubled between 2007 and 2014, the current balances for this age group, the youngest of whom are now in their 50s – was $127,000. This amount would be grossly inadequate to sustain a long and prosperous retirement, if it were the only source of income for these individuals other than Social Security. Transamerica’s authors also found that the number of baby boomers who expect to rely on Social Security to maintain their retirement lifestyles was also up significantly, at 36 percent, compared to just 26 percent in 2007. The study’s findings underscore the importance of saving aggressively for ones’ own retirement. They also underscore the amount of Self-Directed IRA investment options and the importance of diversification in your retirement nest egg. The baby boomers were hit hard by the collapse in asset prices in 2008-2010, and many of them, affected by layoffs, had trouble finding work. These people would have been forced to begin taking money out of their retirement plans to live on, even as asset prices were at a low ebb. This is because the stock market is closely correlated to the broader economic outlook. When earnings expectations fall, companies begin tightening their belts, layoffs increase, and stock prices fall, all for the same reason and at the same time. This is part of why we are big advocates of alternative retirement investment strategies, including self-direction. Choosing to take control of your own retirement savings via self-directing allows the investor to explore their Self-Directed IRA Investment Options and to sidestep broad market risk with at least part of his or her portfolio. Consider: While millions were substantially negatively affected by the stock market decline in 2008 – including many in the baby boom generation who were not able to wait out the market to recovery, other investors were significantly less affected. Some of them, indeed, did quite well in some areas. Those who held assets in gold and precious metals, for example, were able to log some significant gains, as investors fled riskier asset classes for the safe harbor of gold, silver and platinum. Even those with rental real estate portfolios did fine. Yes, some property values fell, but the substantial income of rental property and the cash on cash return enabled by leverage allowed these people to hang on through the worst of it, happily renting to people who had actually been foreclosed out of their homes. After all, these people have to live somewhere. Some of our clients fixed and flipped houses within their IRAs and other retirement accounts, even through the downturn, and did quite well. The best flippers understood that flipping is essentially a market neutral strategy, and worked quickly to ensure they didn’t hold any particular property long enough for a falling market to affect the deal very much. Meanwhile, they focused on acquiring properties from motivated sellers at a discount, and adding value with their repairs and renovations to sell them to buyers who wanted a nice place to live. Other people who used self-directed retirement accounts to fund and hold small businesses, farms, ranches, partnerships, LLCs, or who devoted their efforts to other activities not closely correlated to the stock market did just fine with these activities. Some lenders were able to do quite well, moving into credit markets that were abandoned by banks and other traditional lenders. Others were able to realize significant opportunities in tax liens and tax certificates, which provided an avenue to solid returns with none of the risks of the stock market. Of course, no single asset class is going to do well in all market conditions. And the safer the asset in all conceivable markets, the lower the expected return, most of the time. But by placing at least part of their portfolios in alternative asset classes that were not correlated to the broader markets, many of our clients – and advocates of self-directed IRAs in general – found that they were able to lower the overall volatility of their total portfolio – even in the worst of the downturn. Do you want to take your diversification strategy to the next level? Are you ready to think beyond stocks, bonds, funds and off-the-shelf investment products and explore your Self-Directed IRA investment options? We are ready to help you explore your options. Give us a call at 866-7500-IRA (472). Or visit us at www.americanira.com. We look forward to working with you!